First harvest today! 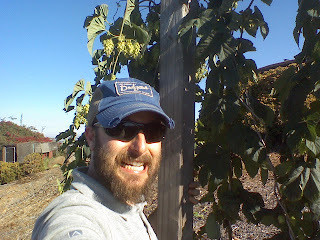 Michelle and I picked the Chinook and Centennial. We only picked the ready hops to half-fill two paper grocery bags. There's plenty more on the way. The magnum is doing well though 2 out of 5 mounds were ravaged by prohibition rabbits. Last, the vojvodina is a bit slow this year and just started budding.